The ProTreat® simulator is the industry's most advanced simulation tool for gas treating. Because ProTreat® is a rigorous rate-based simulator, it offers the ultimate in accuracy, reliability, and truly predictive power. ProTreat® provides you with unparalleled capabilities in design, plant optimization, and troubleshooting. A ProTreat® model of your facility creates a virtual plant. Assess the exact effect of your specific column internals on acid gas selectivity and solvent regeneration. Determine whether a special tray design will improve H2S removal in shale gas - and tail gas-treating. Simulate and design acid gas enrichment (AGE) units. Accurately simulate blends of up to three amines, including MDEA-based blends. Account for the impact of a wide variety of heat stable salts (HSSs), phosphoric acid additive, and caustic contamination on treating plant performance. 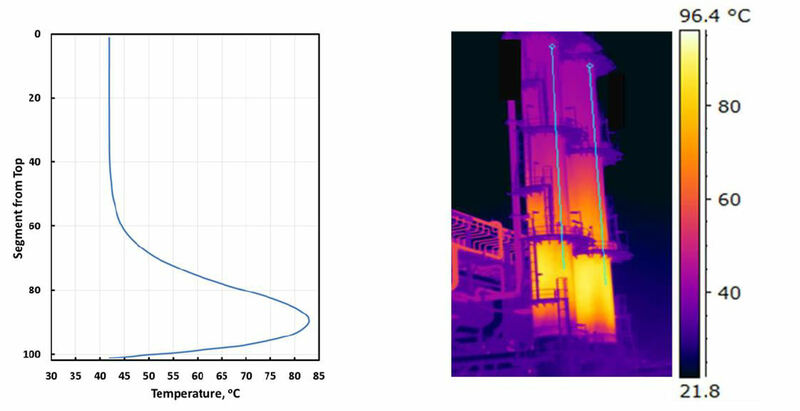 Quantify the utility of the additive piperazine on ammonia syngas and LNG production and determine whether the treating unit being designed or revamped may be operating close to a stability limit before the plant is built. Determine the distribution of ammonia and methanol in gas treating, SRU, and TGU systems. Simulate the physical solvent DMPEG (dimethyl ether of polyethylene glycol), glycol dehydration, and sour water stripping as mass-transfer rate-controlled processes. Perform detailed carbon capture studies, including the possible benefits of using amino acid salts. Simulate HotPot (i.e. potassium carbonate or K2CO3) promoted with up to three amines as a mass transfer rate-based process. Account for the effect of 13 HSS contaminants (phenolic water) and caustic soda addition on sour water stripper performance. Use ProTreat's exclusive mass transfer rate basis to deal properly with structured and random packing. Is your current simulator really predictive? Does it use or ask for residence times or component and thermal efficiencies in an attempt to translate theoretical stages to real internals? How can you be confident the translation from theoretical to real is accurate? The inputs required for translation are usually just a guess. Your internals vendor doesn't supply theoretical or ideal stages. They supply steel trays, structured packing in wooden crates, and random packing in bags! Column internals impact treating performance, not just hydraulics. In selective treating, over- and under-design can be equally fatal. Avoid uncertainty ... Use ProTreat®! Many parameters can be adjusted in an operating plant to optimize performance. 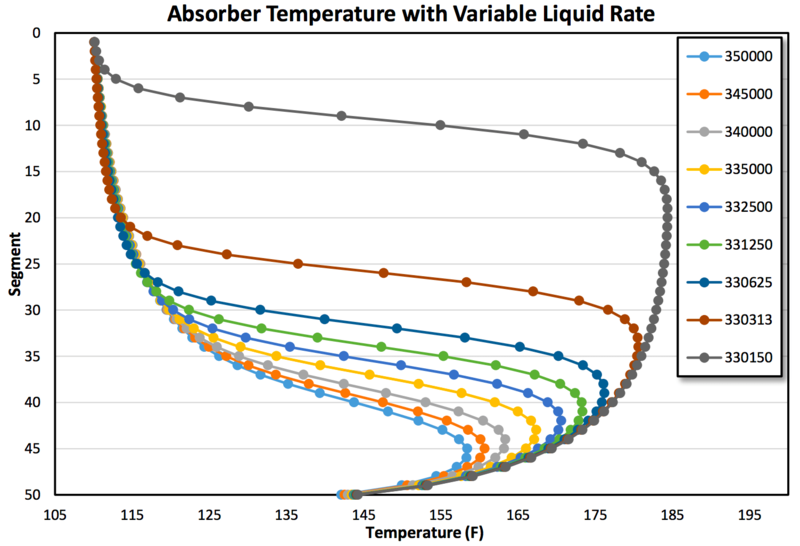 Amine strength, temperature, and solvent circulation rate significantly impact energy consumption. Because of its remarkably high accuracy and its intimate connection with tower internals, ProTreat® very closely predicts plant performance. 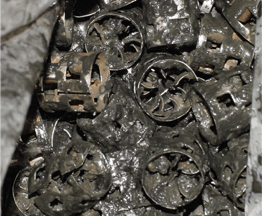 This makes ProTreat® the ideal tool for optimization both in the design phase and afterwards, when the plant may be running at off-design conditions. Over time, the condition of your treating solvent will likely not remain pristine, and ProTreat® can also help with reclaiming decisions. ProTreat® can accurately model the effect of sodium and heat stable salts (HSS), allowing you to decide the extent of reclaiming or replacement needed. Using a blend or a specialty amine? No problem. ProTreat® lets you simulate mixtures with up to three amines. ProTreat® also offers the full INEOS® GAS/SPEC® solvent suite, Dow UCARSOLTM solvents, and Eastman AdapT® solvents, as well as the solvent in SELEXOLTM, Genosorb®, Coastal AGR®, glycols, caustic treating, and corrosion prediction, too. Most solvent vendors use ProTreat® or an in-house rate model for selecting the best solvent for your application - it's simply the best tool available. Shouldn't you use ProTreat® too? If your simulator idealizes certain critical unit operations of the amine system, how can you be confident in its output? "If there's a discrepancy between plant data and what ProTreat® says, the first thing I do is find out what's wrong with the plant!" For example, troubleshooting via ProTreat® simulation pointed to a leaking exchanger as the cause of poor treating. When the exchanger was taken out of service it was indeed found to have several small tube-sheet leaks. That's precision! ProTreat's main advantage over other process simulation tools is its extremely close connection to reality. When there's minimal uncertainty in the simulation results, there's much less uncertainty in the deductions made in troubleshooting. In troubleshooting, ProTreat's authenticity is king!